I think it would look awesome as is without the nebula altogether, but if you make it blends in better it will be awesome. 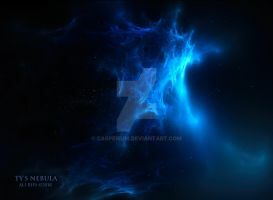 Nebulas not so bad, just have to blend it better with the background. Your planet textures are great though.